Tokyo's Boys Get Hurt will always be one to go to when you're longing for the warmth of summer in midst of all the plunging temperatures of winter. (I guess that's backwards for our southern hemisphere friends.) His music is the kind of thing you can listen to whether you're feeling happy or sad, missing someone or snuggled up with that someone you love. 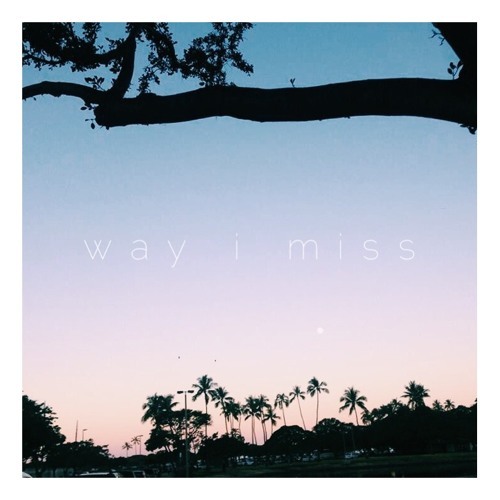 "Way I Miss" is the latest track from Boys Get Hurt and it's a prime example of how he incorporates that bittersweetness and nostalgia into his signature twinkling, almost toy-like sounding synth pop. Heavily filtered vocals and a quick pace top off "Way I Miss" nicely, giving it more of that dance floor killing potential. Although there's something about the vibes that make me think bedroom. Boys Get Hurt was so kind enough to give this one away for free, so make sure to grab that–it'll make the perfect addition to your New Year's playlist. "Can U Tell Me" why Boys Get Hurt with such good vibes?